The Wood Wars – Ipe Decking And Cumaru – Which Is Better For Your Home? August 21, 2017in Floors, NewsNo CommentsThe Wood Wars – Ipe Decking And Cumaru – Which Is Better For Your Home? A beautiful and large deck can really bring a home to a new standard of attractiveness, service, and comfort. You obviously will want to look at some of the best types of wood available for such construction. Ipe and Cumaru just happen to bet two of the most popular types of wood used in deck construction – and for good reason too. You will only be able to choose one, however, so let us begin our investigation of Ipe Decking vs Cumaru. Ipe has been a staple in high-class construction since the 1950s. 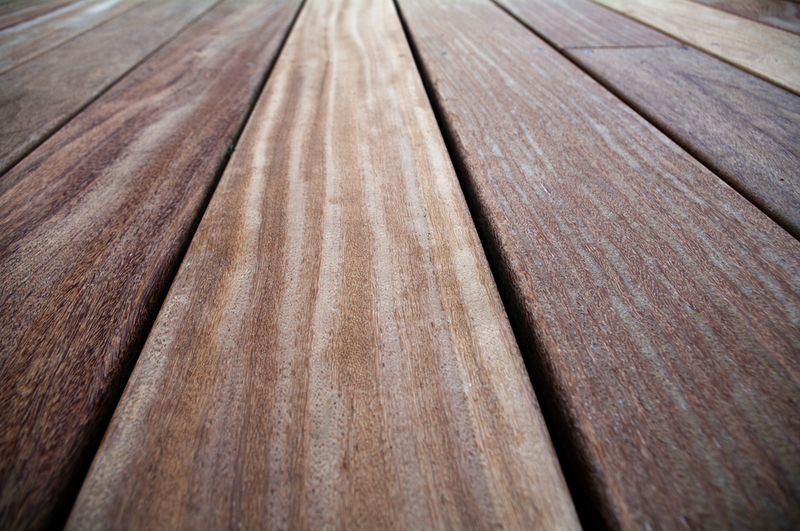 This South American beauty is a favourite among costly residential and commercial decking experts. In the United States, some of the best examples of Ipe usage can be found in the New Jersey boardwalk, Atlantic City, and the passageway located at the front of Las Vegas’ Treasure Island Hotel. Ipe is widely regarded as the ultimate material for the purpose of outside decking. It is just so incredibly stable, durable, resistant, and, of course, beautiful. Its colour is a rich and full red-brown. Ipe can be found merrily growing in South America’s tropical regions, being abundant in the American rainforests. 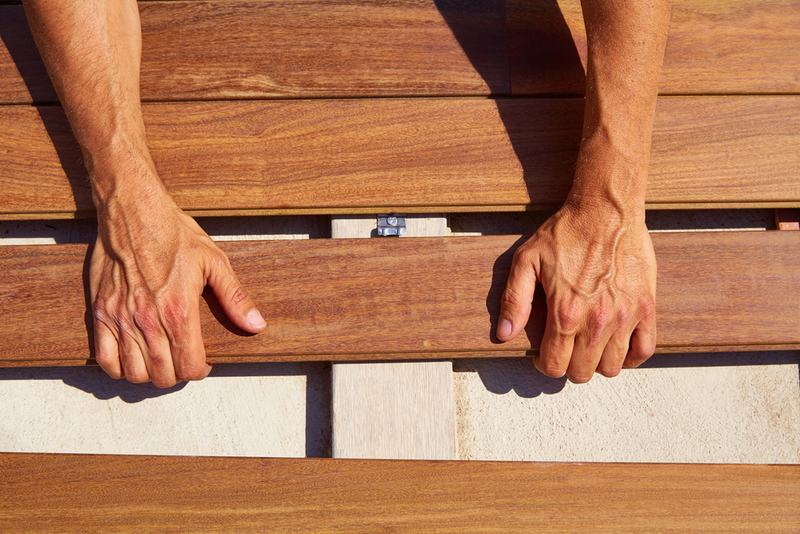 Our contender is Cumaru, a fellow South American hardwood which became a very favourable alternative to Ipe in the decking department upon its discovery by American architects and the like. Cumaru has a striking resemblance to Ipe, often uncanny to the untrained eye. Due their similarities, Ipe was often mixed with Cumaru in the decking construction process back in the day, something which will offend purists if done today. Cumaru is generally divided into two colour types – the standard Cumaru, which is light in appearance, and the dark version, also known as Red Cumaru. Cumaru began its relationship with decking in the 1990s, where it quickly became one of the most popular alternatives to standard hardwood practices and applications. This rebellion against Ipe was mainly maintained through air drying, which inhibited its full potentials due to the increased vulnerability to checking that air drying causes on Cumaru. If we consider the following table, we can see that Ipe truly is superior to Cumaru in every way possible. While the strength and durability may indeed be the deciding factor for many people, some do just prefer the appearance and aroma of Cumaru to Ipe. We have a winner! Ipe was, and always will be, the best hardwood utilised in decking and similar construction efforts. The only issue with its popularity is conservation concerns – we all have a collective duty to ensure that such a precious and beautiful species’ popularity does not lead to further devastation of the American rainforests.